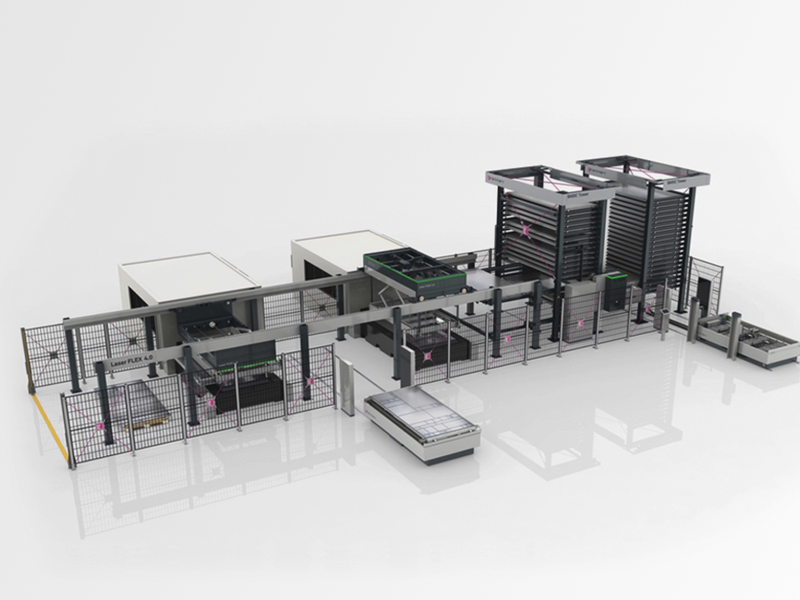 After successfully implementing the Design Language for the Basic Tower, Squareone transferred the design elements to the „Laser FLEX 4.0“ system for manufacturing and functional purposes. The Design Language has already been developed to take account of the different requirements of the machines and systems, also partially improving the functions of the system. A distinction was made between movable and static components. 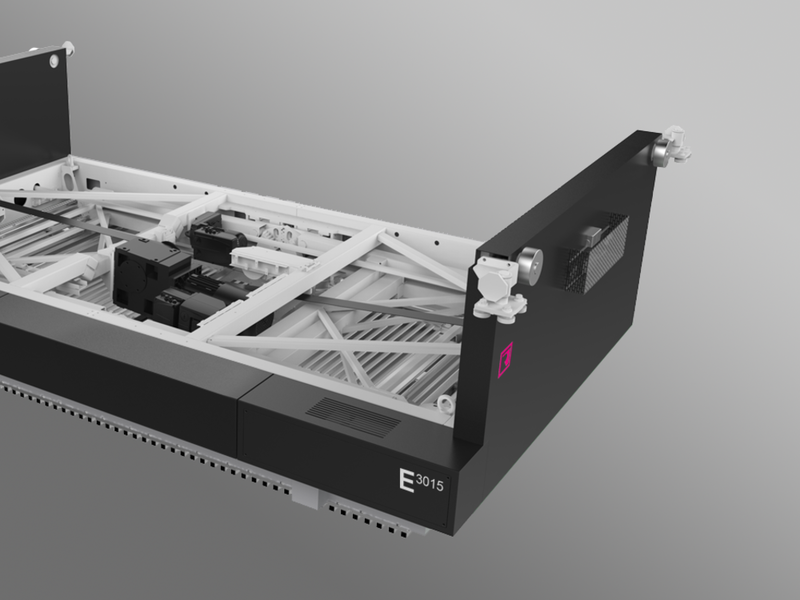 All mobile components such as traverse and longitudinal vehicles as well as loading and unloading units fit seamlessly into the complex system and are characterised by an innovative lighting concept. This lighting concept shows at a glance which components are active, any kind of disturbances or hazardous situations. Recurring elements such as safety fences, interfaces, inspection flaps, logos and type names have been designed consistently and uniformly. 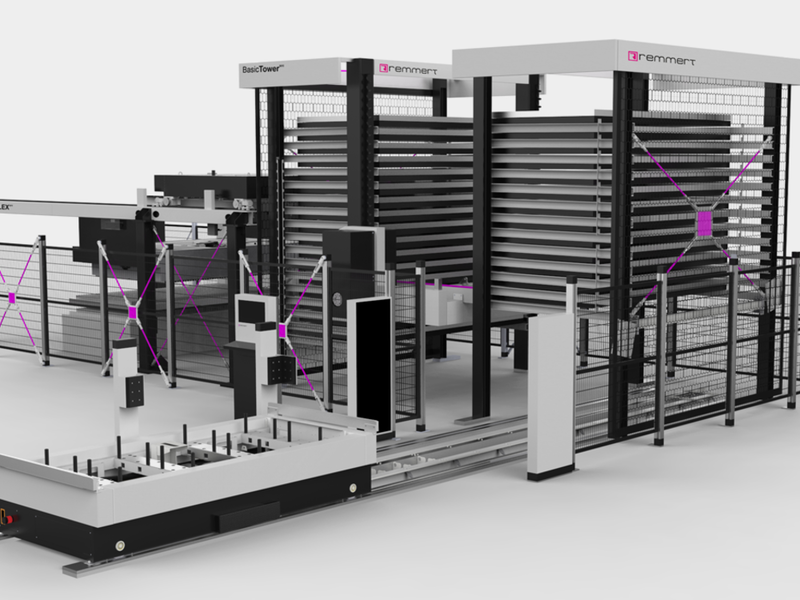 The project shows that even for a complex system such as the „Laser FLEX 4.0“, an efficient and cost-effective design can be developed, that can quickly be transferred to other Remmert products.